Read the PDF of the CD booklet, courtesy of CHANDOS, click image. Although the sole reason for this programme appears to be that all the composers were women, the Sonatas by Mrs H. H. A. Beach (strangely called here “Amy Marcy Cheney Beach”, of which more anon) and the young Ethel Smyth do go well together. They are both richly romantic works but for some reason neither has come my way before, although I have admired both of these redoubtable women for many years and have acquired records of other works by them. The recording team is virtually the same as the group who made Jennifer Pike’s Polish disc at the same venue two months later, but there is no sign of the imbalance between the instruments which marred that enterprise. Tasmin Little is well recorded and so is John Lenehan, who as always proves a strong yet tactful partner. He is nicely portrayed on the back cover of the booklet but has his name in smaller type on the front cover. I do wish record companies would not do this – the players in duo-Sonatas are equals. Amy Marcy Cheney (1867-1944) first showed talent as a pianist, having begun lessons with her mother at six. Born in New Hampshire, she moved with her parents to the Boston area in 1875 and, rather than send her to a European conservatory, her parents arranged for home tuition – piano with Ernst Perabo and then Carl Baermann, harmony and counterpoint with Junius W. Hill. As a composer she was largely an auto-didact and amassed a formidable body of knowledge. Her public career as a pianist was largely curtailed when she married Dr Henry Harris Aubrey Beach in 1885: she agreed to give just two charity concerts a year and to refrain from teaching the piano. Her husband also baulked at her having composition lessons, hence her intense concentration on self-education. On the other hand Dr Beach seems to have happily indulged her composing, and she had success in a wide range of music. What particularly concerns us here is that she had a long and happy artistic relationship with America’s senior chamber ensemble, based in Boston as members of the Symphony and led by the Romanian Franz Kneisel. The Kneisel Quartet used to return to Europe every summer and on at least one occasion holidayed in the same place as Brahms. The group must have contributed to her artistic burgeoning – and incidentally her appearances with its members seem to have fallen outside the two charity concerts per annum stricture. Mrs H. H. A. Beach was respected by her fellow Boston composers and had an honoured place in society. She seems to have loved her husband and was eventually buried next to him: after his death – he was twenty-four years older and died in 1910, not long before she also lost her mother – she was in deep grief and could not work, so tried moving to Europe and had successes in Germany before returning just after the start of the Great War. It was only during this brief period in Germany that she styled herself Amy Beach. Back in Boston, she resumed her established name, although she understandably had Amy Beach on her stationery. I mention all of this because since about the mid-1970s, American feminists have successfully campaigned to have this appellation accepted as the norm. This piece of history-rewriting overlooks the fact that without Dr Beach we would not have had most of her compositions – up to her marriage she had considered herself “a pianist first and foremost”. Chandos’s booklet note includes one or two errors and does not even mention her maiden name. The Violin Sonata in A-minor is a mature composition. Mrs Beach wrote it in 1896, soon after her well-received Gaelic Symphony, and gave the first performance herself with Kneisel at a Kneisel Quartet subscription concert in 1897. The work had a lot of success and was even taken up by Ysaÿe and Pugno. The opening Allegro moderato in sonata form and the third movement, Largo con dolore, have a wistful character, almost as if the composer were gazing out of her window at the garden and daydreaming. It is the same nostalgic character that we meet in a lot of Elgar. In between is a delightful Scherzo with a slow Trio. The sonata-form Finale also partakes of the wistfulness but rises to ardent heights, and Mrs Beach apparently suggested some changes to that published, “the spirit of which is followed in this performance”. No, I do not know what that means, either! The Sonata is played magnificently by Little and Lenehan: there have been a number of previous recordings but I cannot imagine them being better. Clara Schumann’s Three Romances were perhaps chosen because she befriended Ethel Smyth. Schumann (1819-6) was one of the great nineteenth-century pianists, a superb teacher and a penetrating critic. Her opinions were welcomed by her husband Robert, Brahms and others of their circle. I presume her ability to compose fed her analytical abilities but her works, even the one or two on a larger scale, do not suggest any great creative imagination. The second of her Romances could be mistaken for something by Robert, and the other two, while perfectly pleasant, do not quicken the pulse of this particular listener. They are played here affectionately and as well as you might expect. The A-minor Sonata by Ethel Smyth (1858-1944) is another find. Written during her time in Germany, it was premièred in Leipzig in 1887 by Adolf Brodsky and Fanny Davies. Like Beach’s work it is in four movements with the Scherzo second; and it is possible, I suppose, that Beach knew it. Anyway, the two works are otherwise very different, even if they both exude the kind of Late-Romanticism that was in the air at the time. To begin with, Smyth’s Sonata is a more resolute affair, with a trenchantly bold air to the opening Allegro moderato and with interesting rhythmic devices. The Scherzo is quite brief but subtle. The E-minor Romanze refers to the passage in Dante’s Divine Comedy about Francesca da Rimini looking back to happier times, and here, in the violin’s beautiful cantilena, we find some of the wistfulness distilled by Beach. The players really tear into the Finale and in general do not put a foot wrong anywhere. Little and Lenehan end with two more pieces by Beach. The fairly substantial six-minute Romance, specially written for the Women’s Musical Congress at the 1893 Chicago World’s Fair and dedicated to Maud Powell, was premièred there on 5 July by the composer and Powell. Beach had already composed a Festival Jubilate for the opening of the Woman’s Pavilion in 1892. The Romance is very well played here. Although Powell and Beach were friends, I cannot find that the great violinist ever played the Sonata, although she took the Romance into her repertoire. Little and Lenehan end with the four-minute Invocation of 1904, marked Adagio con elevazione and performed in that spirit. For a neglected Romantic violin sonata, being recorded by Tasmin Little and John Lenehan must feel like going to heaven. Neither the 1897 sonata by Amy Beach nor its slightly earlier counterpart by Ethel Smyth is new to the catalogue, but neither, surely, has ever been treated to anything like Little’s gleaming, endlessly fluid tone or John Lenehan’s warmly characterised, unfailingly sensitive pianism. The Beach comes first, and although Chandos have already served it well with an expansive account from Gabrielle Lester (1/04), there’s a flexibility and sense of sweep to Little and Lenehan’s performance that’s utterly persuasive on its own terms: meltingly tender as the pair ease into the first movement’s second group, and dark and questioning in the con dolore slow movement. The two players respond to each other as if by instinct, giving a playful glint to the outer sections of the Scherzo (Little wears her virtuosity with delicious insouciance) and emerging from the storms of the finale with terrific sweep. That’s the most thrilling moment in Ethel Smyth’s Sonata too. As with the Beach, Little and Lenehan let the four movements follow their own, cumulative course from lyrical opening to tempestuous finale, without ignoring the many pleasures to be found along the way – like the little folksy interludes that punctuate the melancholy lilt of Smyth’s slow movement. Perhaps Clara Schumann’s Drei Romanzen could have felt a little more inward – these readings are nothing if not upfront – but it’s hard to object to this kind of assurance coupled to such a fabulous sound, and in Beach’s Op 23 Romance, the pair trace the journey from intimate confession to high-romantic ardour with poetry and utter conviction. A wonderful performance. You can hardly ask for more from violinist Tasmin Little’s new recording of neglected violin-and-piano pieces by mid- and late-Romantic women composers. From the technical angle, all is superb: Little’s phrasings are smart, her intonation perfect, and her shaping of the music’s dynamics and articulations consistent. Expressively, she clearly loves these pieces, playing them each with warmth and soul. It’s hard to imagine, for instance, a more fervent account of Amy Beach’s brilliant Violin Sonata in A minor than the one Little and pianist John Lenhan turn in here. This 1896 score, which followed on the heels of Beach’s exhilarating Gaelic Symphony, channels some of Brahms’ and Dvorak’s rhythmic games, but it’s steeped in Beach’s singular lyrical style, the big outer movements framing a droll, hiccupping scherzo and a soaring, intense slow movement. In Little’s hands, the incisive violin writing really catches fire, while the introspective moments (like the first movement’s second theme) simply float. A similar sensitivity to expressive nuance marks her readings of Beach’s Romance and Invocation. 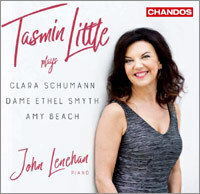 Little and Lenehan make correspondingly fresh work of Clara Schumann’s Three Romances. Written for Joseph Joachim in 1853, they are, like Clara’s songs, mellifluous and, for the pianist especially, involved. Here, the duo delivers a burnished account of the first Romance, gamely dances through the shadows of the second, and make sweetly wistful work of the last. Filling out the Chandos album is a lively rendition of Ethyl Smyth’s Violin Sonata in A minor. This is a Sonata that’s more clearly indebted to Brahms than Beach’s; one never quite escapes the influential shadow of the older composer. Still, the current performance is first-rate, with the mystery of the first movement’s opening theme coming across compellingly; the scherzo’s charm fully intact; a darkly lilting account of the slow movement speaking powerfully; and the finale’s stormy last bars boiling over. Ensemble-wise, Little and Lenehan prove an ideally-matched pair. The keyboard writing in each piece is highly involved – often soloistic, in fact – and Lenehan’s execution of it all is particularly fine: clean, well-balanced, and thoughtfully shaped. But he gracefully cedes the spotlight to Little and the two respond to one another’s playing with such sympathetic energy that these performances really take off. A terrific disc for the New Year, then: a couple of top-flight artists providing the just the type of advocacy one might desire for this unjustly maligned fare. BBC Radio 3 "In Tune" by Sean Rafferty on Friday, 2nd March around 18:25 and will perform live in the studio. 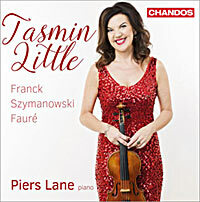 ★★★★½ Little delivers a lot: the British violinist is all shine in polished Polish concertos. It’s only recently that Tasmin Little released her recording of Karol Szymanowski’s Violin Sonata on the Chandos label, and she must have a liking for the composer as she’s followed it up with readings of both concertos by the Polish master. There’s much to be found in Szymanowski’s music, which draws on various early-20th-century influences. His Violin Concerto No 1 is considered by many to be the first modern violin concerto, and it’s a true stylistic melange: a heady concoction of impressionist colours, expressionist drama, and the sweeping lyricism of late romanticism (basically, what would become the stock template for the Hollywood soundtrack within a few decades). There’s so much detail in the vibrant orchestration, it’s easy to get swept up in the BBC Symphony Orchestra’s vivid and immersive performance under the direction of Edward Gardner. It’s a truly brilliant score, and so temperamental: rich romanticism one moment, playful and mercurial the next. Little’s performance is luscious and nuanced – broad and lyrical at moments of high drama, as well as spirited and finely articulated in faster passages. The cadenza here is a truly captivating moment. The Second Violin Concerto marks a complete change. Its language is more akin to folksong, particularly in the second movement. Szymanowski wrote the work in the summer of 1932 while on retreat in the Tatra Mountains and the region’s band music made an impression on the scoring and thematic material of the concerto. While it might not have the same level of mystery and drama as the First, the Second Concerto does pack a punch. Again, Little’s touch is deft, scaling the heights of this music with expert control and achieving a really infectious energy in the finale. The final work here is the somewhat more traditional Violin Concerto of Mieczysław Karłowicz. The work is the oldest on the disc (1902), and it’s steeped in the late Romantic tradition. The first movement is dark and brooding, while the second movement is a lush romance in sweet F Major. Little’s playing here is impassioned, moving with the drama of the music, and is particularly en pointe in the final movement, which has a kind of balletic bounce to it. This disc will be a nice addition for Tasmin Little fans, as well as a great find for violin concerto enthusiasts looking to get outside the box of well-worn favourites. 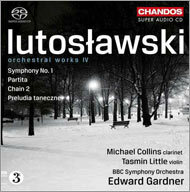 Tasmin Little's Szymanowski and Karłowicz album is Limelight's Recording of the Month in November. here, Tasmin Little displays a musicianship that consistently marks her out as fully the equal, and in many respects the superior, of any violinist currently before the public. contribution to the profound impact of these performances cannot be overstated. A terrific disc, of high distinction. Ardent support from the BBC Symphony Orchestra under Edward Gardner perfectly frames Tasmin Little's exquisitely manicured lyricism and joyful flights of fancy in the exuberantly realised finale of Karlowicz's concerto. Here’s a value-for-money coupling of three contrasting Polish violin concertos from the first half of the last century in the estimable hands of Tasmin Little. With its unabashed debt to Tchaikovsky and late-Romantic effusiveness, the earliest, Mieczysław Karlowicz’s from 1902, is a gift to Little. Ardent support from the BBC Symphony Orchestra under Edward Gardner perfectly frames her exquisitely manicured lyricism and joyful flights of fancy in the exuberantly realised finale. She’s even more striking in the two Szymanowski concertos, conjuring the heady otherness and noticeably neurotic qualities of the First (1916) with elegantly elasticated playing marked by plentiful but judiciously executed vibrato and telling shifts in dynamics. No less characterful is her sweetening of the darker, denser textures of the Second (1933) and her nimbly poised, delicately nuanced way with melodies that smack of rough-hewn rusticity before fracturing into moments of crepuscular introspection. The SACD recording lends Chandos’s customarily excellent sound a vivid immediacy. 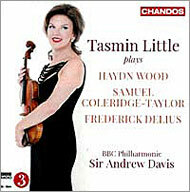 Three violin concertos – all Polish but all very different in mood – make up this latest release from Tasmin Little. programmed last on the disc, but composed ﬁrst, is the concerto by Mieczyslaw Karlowicz, a big, romantic concerto very much in the mould of Tchaikovsky. The opening horn motif even echoes that of Tchaikovsky’s First Piano Concerto, albeit in reverse. Little has recorded the Karlowicz before (wonderfully) in 2003 as part of Hyperion’s Romantic Violin Concerto series. Her playing is just as strong here, with meaty staccato double-stopped passages, but it’s not all show; she is sensitive to dynamics too. Nigel Kennedy is more self-indulgent in his recording, although the earthiness and drama he brings to it is compelling. Tasmin Little trills exquisitely in the stratosphere to close the second movement, while the ﬁnale dances joyously. The BBC Symphony Orchestra, under the astute direction of Edward Gardner, offer keen support, particularly some lovely woodwind ﬂecks of colour to the yearning Romanza slow movement. Chandos’s recording, in a reverberant acoustic, is much beeﬁer than Hyperion’s, which is not always an advantage in orchestral climaxes. Karlowicz died young, caught in an avalanche in the Tatra Mountains in 1909, the same mountains where Karol Szymanowski and his muse, the Polish violinist Pawel Kochariski, spent the summer in 1932. It was there that Szymanowski sketched the initial ideas for his Second Violin Concerto. I heard Little and Gardner make a great case for this work at the Barbican earlier this year, presumably at the time of the Chandos recording sessions. Little really digs into the folk-like ﬁrst movement, almost Bartékian in its ﬁddles and drones, with its ﬁerce double- stopping and muscular cadenza — written by Kochariski - coming off splendidly. Kochariski had also been the inspiration for the First, highly perfumed and exotic in feel, composed at a time when Szymanowski was heavily influenced by Arabic culture. Little’s lustrous tone and ethereal top notes are bathed in an orchestral accompaniment that glitters and glistens, while there is ﬁre and ice in the brief cadenza that opens the ﬁnal section of the work. Her Szymanowksi is as ﬁne as Thomas Zehetmair’s, long the benchmark recording of these two concertos; but, with the Karlowicz thrown in, this makes a highly recommendable altemative. ... in the 1st concerto… .she enters the music’s seductive web especially from the arrival of the slowlyrocking harmonies, one of the work's most magical moments. The Concerto No.2, a late work which shows the composer abandoning such overt hedonism for the pantheistic call of the mountains, has a more unbridled dirctness, which Little seizes gratefully. The Karlowicz though not a masterpiece to match the contemporaneous Sibelius and Elgar concertos, nor indeed on the level of the composer himself achieved little later in his career cut tragically short by a Tatra avalanche. is nevertheless invigorating in such a fine performance as this. Believing in being Franck: A Polish detour adds spice to Little and Lane’s French day out. In their most recent recorded collaboration, Tasmin Little and Piers Lane deliver some of the finest French examples from the violin and piano repertoire, with a French-inspired Pole thrown in for good measure. César Franck’s Violin Sonata is a mainstay of the repertoire, exhibiting the composer’s preference for cyclic form – the use of thematic material across all movements. What’s special about the Sonata is that Franck’s compositional technicalities never eclipse the music’s dramatic and communicative nature. Little’s rendering of the opening Allegretto is perfection, with gorgeously light and silky bow strokes balanced with a more robust, powerful tone as the music approaches its climactic goals. Lane’s touch is sensitive, and matches Little’s colour range perfectly. The pair lets loose in the second and final movements, but Little’s recitativo in the third movement makes for a real moment of focus in the performance, and is probably the highlight. The Romance in B Flat by Gabriel Fauré is a beautiful divertissement in this recording. Little conjures the most stunning of reveries with this lyrical gem, offering a limpid tone that invokes a soothing calm, even during the more technically fraught passages. Lane’s playing is similarly crystal clear, and beautifully tender. Szymanowski appears to be getting more airtime these days, and thank goodness, because the Polish composer’s music does deserve more hearings. Szymanowski, like Franck, was a fantastic craftsman with a keen ear for the dramatic. His Violin Sonata is a heavier work than Franck’s, with its two outer movements calling for rich, muscular tone production in the violin part, which Little delivers. The middle movement is a serene, gentle, dreamy Andantino tranquillo e dolce, the opening of which is one of the highlights of Little and Lane’s performance. The Sonata is followed by two more works by Szymanowski. The first is a Romance that’s imbued with a rich lyricism, and which works towards a magnificent climax. But the best is saved for last, with a Notturno and Tarantella, music of 1915 and a more mature Szymanowski. The strange, exotic music of the Notturno, with its silky melodies and harmonies on open fifths, is a real treat, and the bustling Tarantella, a fantastic showstopper. To sound its finest, Franck’s chromatically charged, sensually alluring Sonata requires playing of devoted intensity, and that is precisely what it receives from Tasmin Little and Piers Lane. Throughout the languorous opening allegretto, they entwine their phrases with a pulsating seductiveness that is shattered by the second movement’s explosive, hurtling momentum. Here, Lane’s fearless and headlong negotiation of Franck’s notoriously tricky writing allows Little to soar aloft with captivating emotional abandon. Rarely has the explosion of A major radiance that crowns the finale been sounded with such life-affirming incandescence. Fauré’s Romance, which tantalises with its noble restraint, forms the interlude before Szymanowski’s distinctive brand of intoxicating exoticism takes hold. The Franck-inspired Sonata shows the 22-year-old composer flexing his creative muscles with gleeful exuberance, and here Little and Lane hurl themselves into the fray with carefree delight, achieving a beguiling frisson seldom captured under studio conditions. By 1910 (when the op.23 Romance was composed) Szymanowski had developed into an Scriabinesque expressionist with a penchant for ecstatic melody, a tendency developed still further in the Notturno e Tarantella, which rethinks the Sarasate–de Falla prototype with a Debussy-like flair. It receives another gripping performance from this outstanding duo, captured in luxuriant sound of bracing physical projection. The selling point here may be the Franck Sonata for violin and piano, but the less familiar repertoire – Fauré’s Romance Op 28 and three works by Szymanowski – makes its own case in these impassioned performances by violinist Tasmin Little and her regular pianist Piers Lane. All their discs for Chandos include duo works that deserve to be better known. Szymanowski’s Sonata Op 9 (1904), expansive and romantic with some of the grandeur of Franck’s sonata, has energy and poetry. The second movement, with its yearning melody and mawkish pizzicato interventions, beguiles and charms. Little is one of the most open-hearted players around, with a watertight virtuosity to match. These are direct and generous performances to savour. Such dazzlingly assured, unflinchingly communicative music-making, this, vividly captured by the microphones. César Franck's adorable Violin Sonata comes up as fresh as new paint in this urgently expressive and memorably flexible performance by Tasmin Little and Piers Lane. It's the opening item on their latest disc for Chandos and is followed by a no less sympathetic rendering of Gabriel Fauré's Romance in B flat major, a charming morsel completed in 1877. The rest of the programme is given over to three works by Karol Szymanowski (1882-1937), the most ambitious of which comprises the early (1904) D minor Violin Sonata, a big-hearted creation, like the Franck cyclical in form, and boasting an especially endearing, gorgeously songful slow movement with a deliciously playful pizzicato interlude at its heart. The soaringly lyrical Romance (1910) evinces a strong kinship with the composer's Second Symphony from the previous year, while the Notturno e Tarantella (1917) serves up an intoxicating feast of heady voluptuousness and headlong virtuosity. Such dazzlingly assured, unflinchingly communicative music-making, this, vividly captured by the microphones. 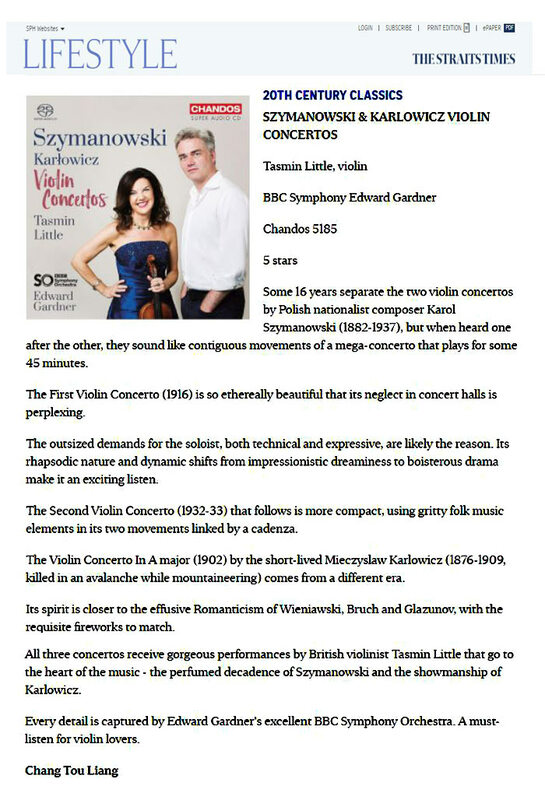 Excellent news, too, that Little has already set down both of Szymanowski's glorious violin concertos with Ed Gardner and the BBC Symphony Orchestra – a mouthwatering prospect! Whether this is now eight seasons or two times four makes little difference, though it adds a contemporary gloss to the programming and allows Little to add another premiere recording to her discography. She directs the BBC Symphony in a modern instrument performance that marries sufficient rhythmic resilience to sonic colour without compromising on individuality. One point struck me as curious, though it will only be of interest to violin fanciers. The orchestra is not led by Stephen Bryant but by Bradley Creswick so it’s the latter we hear jousting with Little in the Vivaldi not the expected Bryant. I wonder why? Some of the rubati in Spring are worthy of note – the chirping and deft dynamics too. Whilst the slow movement is nicely communicative the dog barks are a touch tame, or maybe I have become accustomed to less domestic canines in this movement over the years. What’s certainly true is that the full string body sounds ripely engaging. Little’s fastest-bow-in the-West approach to the opening of Summer is the acme of glamorous engagement – but she’s not afraid to generate some resinous sounds – and there’s languor and indeed torpor in the central panel of the concerto. The finale is exciting, the harpsichord audible but not over-prominent. Little’s rich tone is heard to great advantage in the opening of Autumn where there is a long harpsichord interpolation from David Wright; on repeated listening I’m not sold on it. The pizzicati in the Largo of Winter are, mercifully, not too loud – I’ve heard them obliterate the solo violin line before now – and Little decorates the line early rather than embellishing in the reprise of theme. I prefer the unembellished lyricism and affectionate directness of the classic Alan Loveday but appreciate that decoration can be appropriate and effective. It’s just that I’d have preferred it later. So, all in all, this is a rhythmically vital, colourful, engaging big band performance with a full complement of satisfying details. Panufnik’s own Seasons visits four distinct countries. Avid lyricism and folkloric inflexions infuse Autumn in Albania, written in memory of her father Andrzej. The high-lying skittering figures sound like a Balkan lark, ascending, though there are also soulful moments where Little’s vibrato widens, sobbing into the autumnal air. The Tibetan singing bowl makes its presence felt in the second panel with its quasi-improvisatory elements – slow, spiritual, with a deeply long line. Rebirth features prominently in Spring in Japan, the tangy, clay-rich lower strings supporting the solo violin which gets more and more active and flighty as it burgeons into renewed life. Finally there is Indian Summer – Panufnik journeys not from Vivaldi’s Spring to Winter but from Autumn to Summer – in which fascinating hues and painterly colours lightly evoke, through violinistic techniques, Northern Indian traditional violin playing. ‘I am not a Baroque player’, says Tasmin Little, and there’s nothing like laying your cards right out on the table. These are modern-instrument performances of Vivaldi with a big symphonic string section. And if you haven’t already run screaming for your Fabio Biondi or La Serenissima sets, you’re going to enjoy this disc a lot. So in bounds ‘Spring’, strutting like a cockerel – bold, bright and infectiously (there’s no other word for it) springy. With Little directing from the violin, there’s a satisfyingly torrential heft to the downpours of ‘Summer’, just as the slow movements of ‘Spring’ and ‘Summer’ have a specially hushed intensity when played by a larger body of strings. No Kennedy-like deconstruction here: Little simply responds to the music with an open-eyed freshness and fantasy that’s all the more remarkable when you consider how often she must have played these works. She is lively and conversational, and conveys a vivid sense of character to her colleagues. Listen to the little icicle swirls from David Wright’s harpsichord at the start of ‘Winter’ or the gutsy pizzicatos in the final hunt of ‘Autumn’. Moments such as the inner movement of ‘Winter’, where Little drapes her lustrous tone all over the melody, are a delicious bonus. Tasmin Little's account of Vivaldi’s ‘Four Seasons’ is a very classical one, free from any historically informed findings. Roxanna Panufnik’s Four World Seasons are colourful and truly interesting pieces rooting in the traditional music of four different regions: Autumn in Albania, Tibetan Winter, Spring in Japan and Indian Summer. Tasmin Little, who commissioned the work, is an accomplished and punchy soloist. Two of the sonatas on this disc are unfinished; oh, what good music we don’t have! The ghost of Brahms hovers behind Frank Bridge’s early (1904) E flat major Sonata. There are two movements, the second completed by Paul Hindmarsh in 1996. Tasmin Little and Piers Lane launch gleefully into the first-movement Allegro, shaping its surging lines with full-toned vigour and bringing nicely turned melodic shaping to its passages of repose. There is a satisfyingly big finish. Little tenderly outlines the delicate Andante that follows and skips lightly through the scherzo at its centre. The first movement of Ireland’s First Sonata ranges far in its eleven-minute span, with its many gear changes negotiated with purpose and poetic sensibility by Little. She brings a simple and touching vulnerability to the second-movement Romance, punctuated by dramatic outbursts. The final Rondo is lively and skittish. Bliss started his F major Sonata in the trenches, abandoning it after the first movement. In this powerful performance Little and Lane show it to be a work of real emotional weight and complexity. Vaughan Williams’s two early pieces are thoughtful and beautiful. William Lloyd Webber’s short The Gardens at Eastwell, receiving its first recording, is a gentle, reflective delight. The recorded sound is warm and full. You don’t have to be Czech to play Dvorak, Spanish to play Rodrigo, nor British to play Vaughan Williams. And yet an artist who shares the composer’s nationality often brings a deeper understanding to the music, a certain authenticity to the performances. That thought occurred to me as I listened to British Violin Sonatas, Volume 2. In my review of Volume 1, I said: “Tasmin Little played with an expressive yet precise manner, letting the merits of the compositions speak for themselves.” Her performances in volume two are just as beautifully clear, but with (I think) more emotional investment. And the musical chemistry between Tasmin Little and Piers Lane is just as strong as it was in Volume 1. The disc opens with Frank Bridge’s 1904 Sonata. It’s a somewhat conservative work for Bridge, who in the 1920s abandoned English pastoralism, if not tonality altogether. Although this is is an early work, there are times when the melody threatens to slip the constraints of late-Romantic tonality. John Ireland’s Violin Sonata No. 1 features long phrases that extend across wide intervals. Little’s violin practically sings these melodies, bring out their structural and emotive beauty. Little and Lane make the shifting textures and moods of the work seem like a conversation between two close friends. The Sonata of Arthur Bliss is an eleven-minute work densely packed with musical ideas. In some ways, it’s the most English-sounding of the lot, especially with its melodic turns. But the texture and cross-currents make this so much more than just another pretty pastoral. The program concludes with the “Romance and Pastorale” of Ralph Vaughan Willimas leading into William Lloyd Webber’s beautiful “The Gardens at Eastwell.” Both are quintessential examples of the English pastoral style and make a lovely way to end the program. My review of Volume 1 concluded: “I look forward to volume two!” Three years later, I can say it was definitely worth the wait. Now I look forward to volume three! even in the Work dedicated to the French violinist Kreutzer, “written in a highly concertante style almost like a concerto". Tasmin Little is a dedicated advocate of British violin music, but is determined not to be typecast, and this fine set of Beethoven Violin Sonatas, with the pianist Martin Roscoe proves how right she is. Here she triumphantly shows her authority in the Austro-German classics, and justifies the faith that Chandos puts in her, by investing so much in what must have been an expensive recording. Chandos also rewards her, as they always do, with outstanding sound, which shows off Tasmin’s burnished tone, and technical agility. The Beethoven Violin Sonatas attract the great violinists of every generation, and this is a hugely competitive field, in which it’s impossible to talk about a best buy. But for me, Tasmin’s set is one of the finest of recent years, and deserves the widest circulation. There was an intention that my wife would buy these CDs for my birthday. However, having signed for the parcel I dropped some pretty broad hints and ended up receiving them as a Valentine's Day gift. (Mrs. Wife's gift was a Radley handbag!) Well, I think we both did well! Both Beethoven and Radley have appropriate tokens of love! This is a superb set of sonatas that are, as pianists keep telling us, are for PIANO and violin. However, Ms. Little and Mr. Roscoe are such a compelling team that neither instrument seems to be subordinate to the other and simply meld to create a continuos stream of gorgeous music making. What I love about this set of discs is the sheer 'joie de vivre' that this team bring to the music. The opening of the last sonata that seems to come from nowhere is played so beautifully that it sets the tone for the rest of the work. The following Adagio is possibly the loveliest performance of this movement I've heard since the late, great Menuhin. There is humour aplenty in the fast movements with very neat bowing from Ms. Little. (It's amazing how many top players find this difficult). The mighty Kreutzer is given a superb performance by both musicians and makes me feel that this is actually Beethoven's second violin concerto. You know, I'm sitting here with a glass of whisky with my big white cat on my knee. I could attempt a blow by blow analysis of this set but, frankly, who cares?! Buy them and love them. 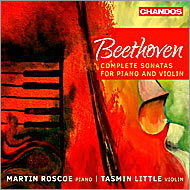 One last thing, I do hope that Chandos are going to record Tasmin in the Beethoven concerto - SOON. The recorded sound is superb! The Chandos engineers have produced a typically wide and opulent soundstage for concertante works by three English composers who crossed the Atlantic – in spirit or in person. 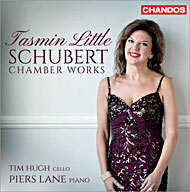 In Tasmin Little’s hands the G minor Concerto of Samuel Coleridge-Taylor radiates glamour and confidence at full beam. She goes all out for expressive affection with bags of vibrato, supported by a close rapport with Andrew Davis, who coaxes sighing portamento from the BBC Philharmonic. Their conviction might place Coleridge-Taylor’s Concerto in the company of Romantics such as Korngold and Barber, and they also play Haydn Wood’s A minor Concerto with dedication and passion. The first two movements of the Wood promise much, with generous and memorable melodies, but their development tends to lapse into German Romantic sequences. There’s a similarly generic oboe-led interlude for the central Andante, replete with the sort of English-pastoral modulations that Vaughan Williams made his own and that even the young Delius did better in a four-movement Suite of character pieces that he filed in a bottom drawer. Ralph Holmes and Vernon Handley showed years ago that Wood’s Concerto was worth pulling out again. Little and Davis go one better, with more deftly managed transitions, wind playing that would charm the birds from the trees and solos in the Intermezzo that embrace the spirit of a Hardanger fiddler. The finale flies between Mendelssohn’s Leipzig, the first cuckoo’s England and the harmonies of American spirituals, to remind us of Delius’s eclectic inspiration. Like George Gilbert Scott’s St Pancras Station, Victorian and Edwardian concert music has bounced from being reviled and threatened with oblivion to something approaching veneration. We now have entire festivals devoted to resuscitating tuneful, tonal British composers whose names produced guffaws of derision in smart musical circles in the 1970s when I was a student. The danger now is overvaluation. There are no neglected geniuses here. On the other hand, there is a wealth of superbly crafted, lyrical music that didn’t deserve to be cast into the wilderness because the musical establishment became obsessed with angst and atonality for half a century. Tasmin Little, herself an under-appreciated bastion of British musical life, has been an indefatigable champion of this repertoire. Here, accompanied sympathetically by the BBC Philharmonic under Andrew Davis, she plays violin concertos by Samuel Coleridge-Taylor and Haydn Wood (both pupils of Charles Villiers Stanford at the Royal College of Music) and a delightful early Suite for Violin and Orchestra by Frederick Delius. Wood’s concerto gripped me most. He himself was an accomplished violinist as well as a composer who achieved much success with his light music and songs (the classic First World War ballad Roses of Picardy is one of his). Here he revels in the bigger canvas. The opening movement is marvellously dramatic, with a hair-raising cadenza of fiendish double-stoppings (Little plays it stunningly). A gorgeous horn tune launches the wistful slow movement; the finale is a spirited romp. Throughout, Wood’s harmonic world is irresistibly lush without being cloying. 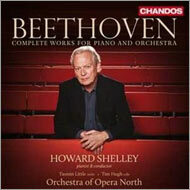 Violin Concerto for Chandos, on a disc that includes his other string concertos. But the work that forms the centrepiece of her latest collection of British so-called concertos is the Suite for Violin and Orchestra that Delius composed around 1890. It’s an odd mix of movements, three looking forward to the music that would come a few years later while the fourth seems to have strayed in from from some forgotten work by Mendelssohn or Max Bruch. Little pays it just as much careful attention as the other two equally unfamiliar works on her disc, though, both of them composed significantly later than the Suite. Samuel Coleridge-Taylor’s Concerto dates from 1912, the year of his premature death, and more than a decade after he had earned the undying gratitude of choral societies around the country with his cantata Hiawatha’s Wedding Feast. It’s a patchy but striking work – with echoes of Elgar and (in the slow movement) even Puccini, as well as the more predictable Dvořák – which probably deserves to be heard more often than it is. I’m not sure the same can be said for Haydn Wood’s 1928 Concerto, with its overblown medley of hand-me-down romantic styles – a bit of brash Rachmaninov here, a mellow Elgarian tune there – though as always Little and Andrew Davis and the BBC Philharmonic try hard to make it all seem convincing. Schubert's genial personality comes through on the first disc of this two-CD set. In four violin sonatas written while he was still in his teens there are none of the troubles and inner searchings that were to be enshrined in the later "Death and the Maiden" string quartet or the last piano sonatas. "Little, together with pianist Martin Roscoe, opens the set with this piece, its restless textures offering limitless scope for the intense emotional engagement that we so value in these musicians. The slow movement, substantially in 7/4, is a beautifully drawn-out song; as often happens on this disc, you find yourself craning forward to enjoy the very physical sound of bow on string... "
Verdict: "French sonatas glow with the energy and impetuousness of youth." 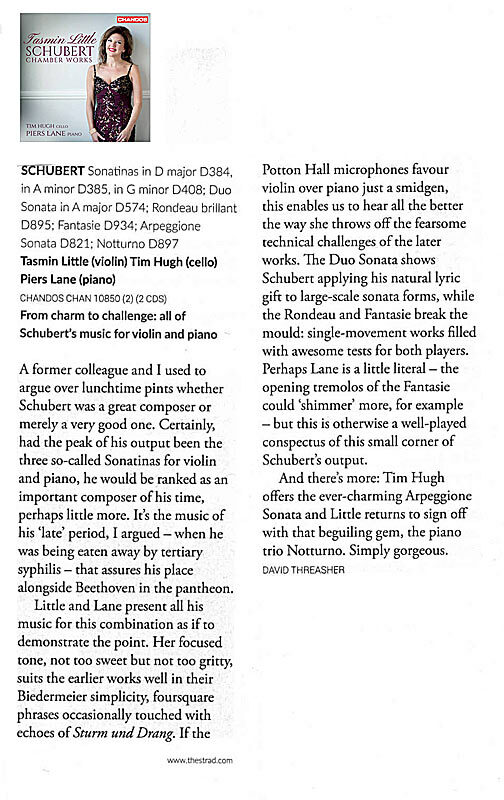 " ...Tasmin Little and Martin Roscoe give a passionale full-blooded performance of the Lekeu Sonata, taking on board the 22-year-old composer's lofty tone and high ambitions...."
"If Fauré’s entire output could be encapsulated in just one word it would be ‘tendresse’. The inspired teaming of Tasmin Little and Martin Roscoe fully captures this elusive quality in glowing performance of the ravishing A major Sonata (complete with first-movement exposition repeat) while retaining a Brahmsian dramatic grip that ensures the music is sent soaring aloft in all the right places. Roscoe emerges unscathed from one of the trickiest of all piano accompaniments, sustaining a seductively velvet quality in even the notorious scherzo, while Little intensifies her exultant phrasing in the outer movements with a narrower, faster vibrato than usual to captivating effect. Fauré was a man of passionate reserve, a tantalising dichotomy that not only informed his music but also allowed him to appreciate and nurture a wide range of talents at the Paris Conservatoire, including Ravel, whose 1897 sonata movement turns out not to be a stand-alone affair after all but was originally intended to head a multi-movement work. Little and Roscoe sound completely at home in the music’s varied stylistic interfaces, and really come into their own in the chromaticisms of the Lekeu Sonata in a winning performance to rival even that of Yehudi Menuhin (EMI). Exemplary annotations from Roger Nichols and first-rate sound provide the musical icing on the cake." " ...Tasmin Little and Martin Roscoe masterfully pacing the ebb and flow of the tension. Nonetheless there is little precedent for the long-breathed unfolding line of the slow movement, and Little's whispered treatment of the end is magical. Little displays similar control in the Scherzo.of Fauré's A major Sonata, the music seemingly evaporating into the ether at the end of the central section...."
"To the Violin Concerto, completed in 1939 on a commission from the Lithuanian-born virtuoso Jascha Heifetz, Tasmin Little brings a mellifluous glow and a capricious spirit. This is music of impetuously shifting moods, by turns inward-looking and extrovert, a combination that Little, in close alliance with Gardner and the orchestra, effects with bravura and with a range of tonal shading and a sensitive moulding of phrases that, as in the symphony, lends the music both bloom and sparkle. " "Long eclipsed by Britten, Walton is a composer in need of champions. His First Symphony and Violin Concerto are supposedly repertoire works, yet we seldom hear them in the concert hall. This CD – a perfect pairing of his two symphonic masterworks – shows what we have been missing. Gardner and the BBC Symphony Orchestra profile the symphony’s turbulent syncopations, brassy dissonances and expressionist brilliance – a truly exhilarating performance. "Walton's Violin Concerto is an apt choice of coupling for the Symphony. Begun in 1938 as a result of a commission from Jascha Heifetz, it successfully amalgamates the dazzling virtuoso elements expected by Heifetz with lyrical music that for the first time expresses Walton's life long love of the Amalfi coast of Southern Italy. 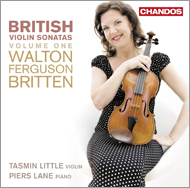 This is the second time that Tasmin Little, a true champion of British music, has recorded the Walton Violin Concerto – the first was in the mid 90s with Andrew Litton and the Bournemouth Symphony Orchestra. In Little's performance, recorded here in the fine acoustic of the Watford Colosseum, it is the lyrical aspects of the first movement and parts of the finale that make the strongest impression. The romantic and dreamy tranquillity of the opening movement is marvellously conveyed by the rapturous sounds that she elicits from her rich toned instrument. The challenges of the central scherzo are met with absolute conviction and mischievous wit, while Gardner and the BBC SO provide incisive accompaniment throughout in which the balance between soloist and orchestra seems ideal. 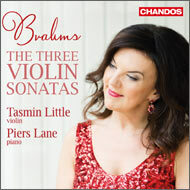 "British violinist Tasmin Little has been playing Vaughan Williams’ evocation of a lark in flight for most of her career – she and Sir Andrew Davis recorded it 20 years ago for Teldec – but this new recording on Chandos is something else altogether. It’s not just that Little’s tone is nigh on ideal, capable of an extraordinary ethereal sweetness, but her sense of phrasing makes the whole work into one long melody, seemingly untroubled by bar lines. Davis and Chandos support this flight with a gorgeous cushion of string sound, surpassing any other audio account that can recall. "Tasmin Little is a terrific violinist whose devotion to English music inspires her to learn pieces a player of her stature could easily avoid in favour of yet another performance of Bruch's first violin concerto. The centrepiece of her latest enticing album is E J Moeran's Violin Concerto. Moeran was a Norfolk man fascinated by Ireland, where he tragically died in 1950 after falling into deep water having drunk too much; His concerto is a splendidly lyrical piece with a lively second movement and a lovely, long breathed, slow finate. Moeran admired Delius, and so indeed does Tasmin, so her account of Delius's early Legende is also treasurable, as is a short 1905 Holst piece, A Song Of The Night. There isn't a single bar here that's characteristic of the mature Holst, but it's still a delight. 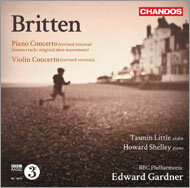 "Perhaps the best new recording thus far of Benjamin Britten's centenary year features three fine British artists. Tasmin Little is inspired throughout the Violin Concerto, and Howard Shelley virtuosic in the Piano Concerto, which is often percussive in the manner of Prokofiev. Ed Gardner has long been a Britten specialist, and he and the BBC Philharmonic provide an eloquently idiomatic backcloth. Chandos's recording is also, as ever, first-class. Both are early works, and for me, a cause for regret that Britten was later so pressured by his partner Peter Pears to produce almost entirely vocal music." 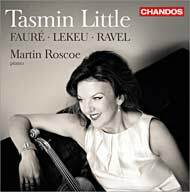 "... Any doubt as to Tasmin Little’s identification with this music is quickly banished as she responds with some of her most insightful as well as virtuosic playing on disc. The spacious yet immediate sound is on a par with earlier discs in the series..."
"Richard Strauss' early Violin Sonata is so full of youthful rhetoric and so obviously pines for the colours of a full orchestra rather than the piano, that it's often a difficult work to bring off convincingly. But Tasmin Little and Piers Lane turn in one of the most satisfying performances I've heard. Their judicious choice of tempos allows the music to breathe naturally. They also display an intense sympathy with Strauss' melodic style, especially in their delicate and atmospheric account of the slow movement. The Strauss is coupled on this recording with a remarkably eloquent interpretation of Respighi s Sonata in B minor. This is also a rather problematic work, in its uneasy mix of Italianate lyricism and Germanic contrapuntal elaboration. Little and Lane's relaxed yet focused reading of the first two movements is balanced by a thrusting, even aggressive account of the passacaglia finale: with its deep piano octaves, this is Respighi at his most Brahmsian. Little's full-toned bravura in this movement reminds us why this Sonata was a favourite of Jascha Heifetz, and Lane has to work just as hard. 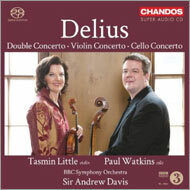 BBC Radio 3 "Disc of the Week"
"Some two decades ago Tasmin Little set down memorable versions of both the Violin Concerto and Double Concerto with Sir Charles Mackerras at the helm (for Argo and EMI Eminence respectively). Clearly the intervening years have not diminished her abundant love for and entrancing empathy with this glorious repertoire. Not only does she surmount every technical hurdle with ease, her tone remains wonderfully pure and heart-warmingly expressive. 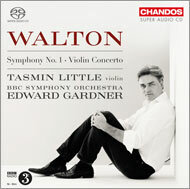 Little's partnership with Paul Watkins strikes me as an especial success; indeed, theirs is the most tenderly lyrical and raptly spontaneous performance of the Double Concerto to have yet come my way (and I do not forget the considerable claims of Little's own earlier recording with Raphael Wallfisch). In the Cello Concerto Watkins resuscitates all except two bars of Delius's altogether more challenging original edition of the solo part. Suffice it to say, he brings a wealth of profound musicality, ardour and insight to bear, making his an interpretation to cherish and one to which I can already see myself returning many times.